Festa Italiana will be at Harriet Island this weekend. Festivals, an anniversary party, an album release, and a celebration of the arts and its role in aging. Lots of interesting events going on, not to mention a few outstanding visiting artists to supplement our own batch of talented musicians. Early warning: I don’t get any income from doing this, but would be pleased as punch to have some of my readers join KFAI and my show during next week’s pledge drive. In fact, you can pledge right now at http://www.kfai.org Have a good week. Irv Williams with Kairos Dance @ MacPhail Center for Music, Minneapolis. 5:30 – 8:00pm (Free) Kairos Dance is an interactive dance troupe, and nonagenerian saxophonist Irv Williams to celebrate a tpt documentary entitled Arts and Mind. The flyer says we’ll learn how music, dance, painting, poetry, and theater markedly improve well-being at all stages of life. Frankly, I can’t think of a better example of how the arts keep you lively than Irv Williams. The event iss free, but you are advised to visit http://www.tpt.org/experience to reserve a ticket. This video explains the philosophy of Kairos Dance. 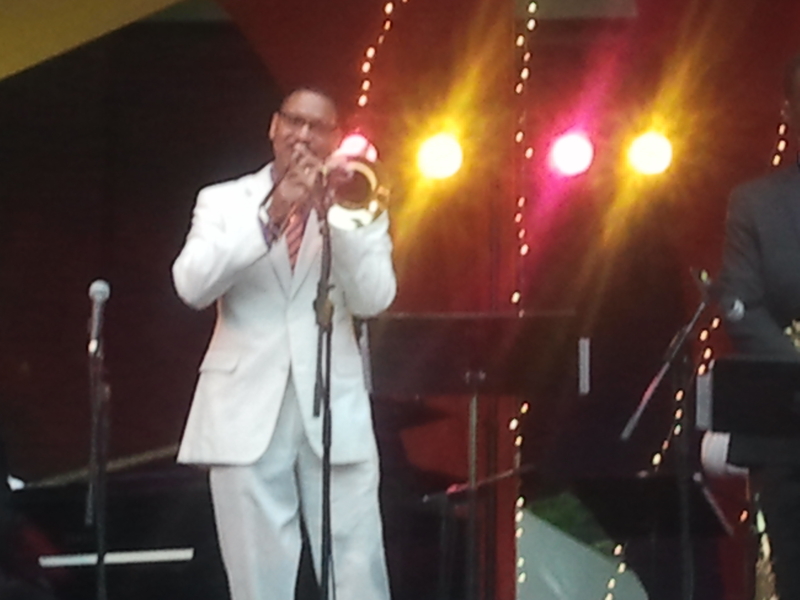 Delfeayo takes a solo at the Jazz Festival last June. Delfeayo Marsalis @ The Dakota, Minneapolis. 7pm ($30/$25) Delfeayo is the trombone playing/record producing member of the famed Marsalis family completely sold the crowd at the Twin Cities Jazz Festival in Saint Paul last June. Then he showed up late at the AQ and blasted out another crowd-pleasing song or two. Tonight he has a spotlight-stealing band of players who each could (and do) lead there own band. Sean Jones on trumpet; Winard Harper on drums, Richard Johnson on piano (you may know him from some of the cool theme shows he presented after moving here), and bassist Jeremy Boettcher. Whew! Dave Karr Quartet @ The Artists’ Quarter, Saint Paul. 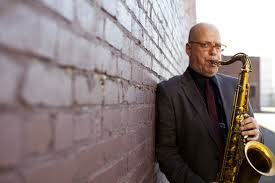 9pm ($5) It’s a monthly gig for Karr, a venerable and inventive saxophone player. Don’t pass by an opportunity to hear Karr, whose versatility includes playing baritone sax in his Gerry Mulligan tribute band, playing with Pete Whitman’s X-Tet and touring with Henry Mancini as the featured player for the Pink Panther Theme. Robb Henry Trio @ Barbette, Minneapolis. 10:30pm (Free) Robb’s guitar playing encompasses jazz standards and “new” standards from the pop music of the late 60s and on. Listen to this. Bob Sheppard Quartet @ The Artists’ Quarter, Saint Paul. 9pm. With a resume that runs from Steely Dan to Queen Latifah to Joni Mitchell to Freddie Hubbard, Chick Corea, and Horace Silver, among others, Sheppard is the consummate pro, able to provide atmospheric backdrops for pop stars as well as improvise with the best that jazz has to offer. This is a rare Midwestern appearance for this Los Angeleno musician. Gypsy Mania Hot Club @ The Mill City Farmer’s Market, Minneapolis. 10AM – 1PM (Free) Enjoy the gypsy jazz sounds of the Hot Club whilst you shop for food from local growers. Charmin Michelle @ The Lexington (South Room), Saint Paul. 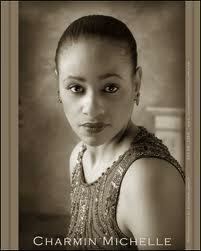 6:30 – 10:30pm (No cover) Charmin Michelle on vocals, with Laura Caviani, piano; and Pete Whitman, sax. The South Room is a bit smaller than the Williamsburg Room where the music is generally presented. That means it’s important to have a reservation or get there early to hear this terrific combination of musicians. Aaron, Peterson, and Horst @ The Artists’ Quarter, Saint Paul. 9pm ($5) Phil Aaron, piano; Billy Peterson, bass; and Kenny Horst, drums. Aaron is a sensitive player with numerous credits. Peterson can swing with the jazziest cats (say, Ben Sidran) or rock, a la Steve Miller. Horst has an impressive number of credits himself, from Al Hirt to Jimmy McGriff and Lew Tabackin, and is the owner/mentor and keeper of the jazz flame at the AQ. 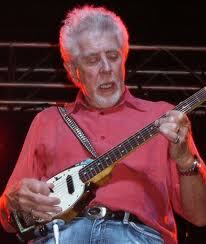 John Mayall @ The Dakota, Minneapolis. 7pm ($40) & 9pm ($30) Over the course of a fifty year career, bluesman Mayall has served as bandleader and mentor for a who’s who of blues-rock, starting with Eric Clapton, and Jack Bruce, on through to Mick Fleetwood, Don “Sugarcane” Harris, Harvey Mandel, to Walter Trout and Coco Montoya. He recorded dozens of albums over the years, a few of which are classic. Though now approaching 80, recent videos reveal that he’s still has good harmonica chops and a good voice. John Primer @ Famous Dave’s, Minneapolis. 8pm (No cover) I guess you can call Primer a member of the second generation of bluesmen. He played guitar at Teresa’s in Chicago during the second half of the 70s, played with Willie Dixon’s All-Stars, Muddy Waters, and Magic Slim, venturing out on his own in the early 90s. Since then he’s been nominated for Traditional Blues Artist of the Year a number of times, received a Grammy nomination in 2009, and was named Blues Artist of the Year in the 2010 Critics Poll of Living Blues Magazine. If you have a taste for traditional blues, this is the guy to hear. Here he is with a Dutch band backing him at a Blues Festival in The Netherlands. Tracy Grammer CD Release @ Landmark Center, Saint Paul. 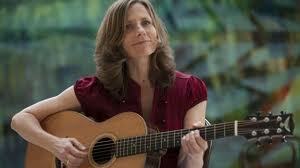 8pm ($18) Red House Records kicks off this season of Red House Live! with the talented vocalist/fiddler Tracy Grammer, first known for her musical partnership with Dave Carter, which set the folk world afire when they released their first album in the late 90s. Her partner passed about ten years ago, and she’s now released Little Blue Egg, a CD of previously unreleased songs from the two of them on Red House. There’s a cocktail hour at 7pm followed by the concert at 8pm. Festa Italiana @ Harriet Island, Saint Paul. 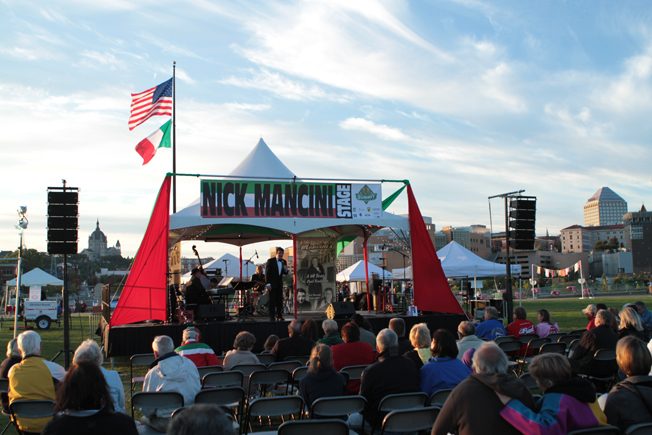 3pm – 10pm Friday, 10am – 10pm Saturday (Free) This is the second year for Festa Italiana, a celebration of the Italian part of Saint Paul’s heritage, including strolling accordionists and two stages. The Main Stage will feature a Dean Martin tribute, Arne Fogel doing songs of the 40s and Italian classical music and more, while a second stage will feature Italina folk songs and dancing. Then there’s the food, and gondola rides, to boot. More information here. Thinking Outside the Squeezebox II @ O’Gara’s Shanty and the CSPS Hall, Saint Paul. 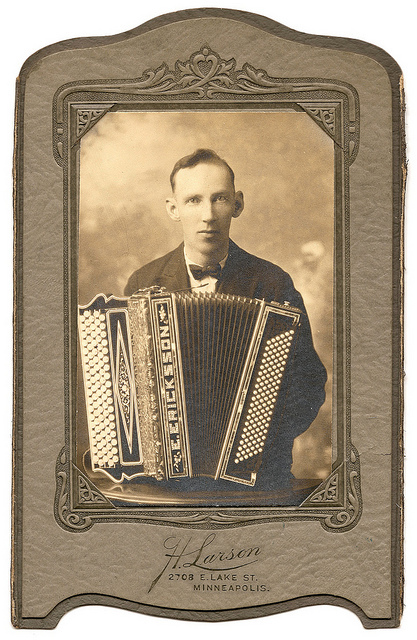 3pm – 11pm Friday, 10am – 10pm Saturday, 10am – 1:30pm Sunday (at CSPS Hall) A bunch of accordion players from around the country are gathering to see what happens when the traditional uses of accordion in ethnic music collide with rock, jazz, and more. Sunday at the CSPS Hall (above Glockenspiel on West 7th) will feature folk dancers from the Tapestry Center. For more information re: artists and schedule, go here. Twin Cities Funk & Soul LP/CD Release Party @ The Cedar Cultural Center, Minneapolis. 7:30pm ($10) Okay, so Secret Stash, the Mpls record company that specializes in re-issue vinyl, has put together a compilation of great music from the Twin Cities, and they’re gathering some of the artists to perform at the Cedar. Willie Walker and Maurice Jacox may be familiar to many of you, but you’ll find the Valdons and Wanda Davis, who are also performing, to be amazing discoveries. The band includes members of the Exciters, Band of Thieves, and others. Hot Pants DJs will be spinning discs beforehand. Here’s a video of the current Valdons. 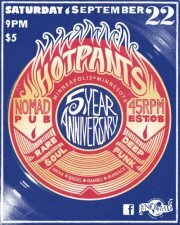 Hot Pants 5th Anniversary @ The Nomad, Minneapolis. 9pm ($5) After the Funk & Soul Release Party cross the street to the official afterparty and place to be to dance to rare soul and funk 45s. The four deejays in the Hot Pants crew each bring a slightly different spin, if you’ll pardon the expression, to things. Some musicians from the Funk & Soul release party will be enjoying the sight of young folk dancing to their music. Valdons In-Store @ The Fifth Element, 2411 Hennepin, Minneapolis. 6pm (Free) Continuing the celebration of the release of Twin Cities Funk & Soul, the Valdons will be singing a few songs and showing off their harmonies at this record shop. It’s all ages, and free. Paul Mayasich & Jimi “Prime Time” Smith @ Manitou Station, White Bear Lake. 8pm (No cover) Mayasich continues his habit of creating special evenings by playing with other guitarists. Expect some slide, as well as other guitaristic pyrotechnics, for sure. This entry was posted on Wednesday, September 19th, 2012 at 3:07 pm and is filed under Weekly Preview. You can follow any responses to this entry through the RSS 2.0 feed. You can leave a response, or trackback from your own site.